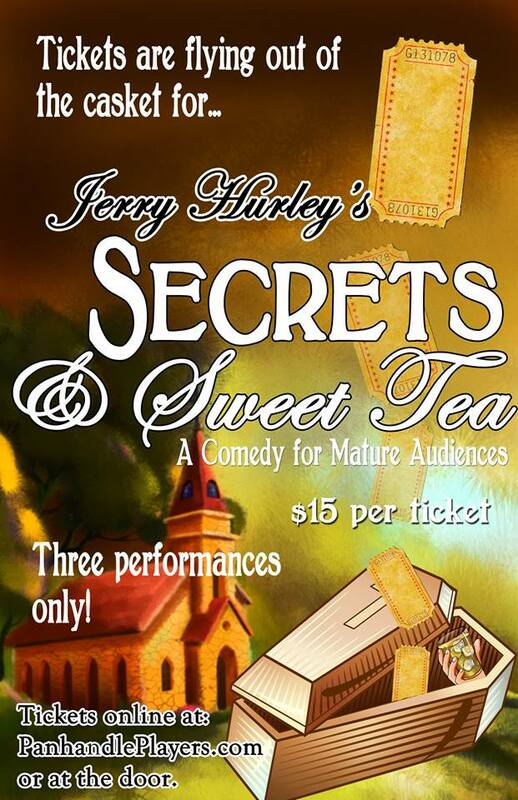 Secrets & Sweet Tea is a southern comedy that takes place at the wake of Samuel Strainwhistle, a local Apalachicola millionaire. Various residents come to pay their respects, each hoping that Samuel has left a little something in his will for them. As the show progresses everyone learns the true secrets of these Apalachicola mourners. Three performances choose one or attend all three: Friday, October 19th at 7:30 pm; Saturday, October 20th at 7:30 pm; and matinee on Sunday, October 21st at 3 pm. $15 per ticket and can be purchased online or at the door. Box office opens 1-hour prior to showtime.